Limestone Branch Distillery in Lebanon, Kentucky has announced the launch of its Yellowstone Select Kentucky Straight Bourbon. 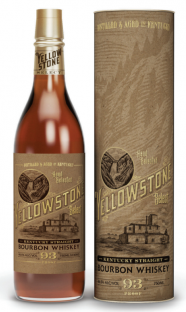 Yellowstone Select Kentucky Straight Bourbon (46.5% ABV) has been crafted using hand-selected barrels of bourbon aged between four and seven years old, which follows on the success of their first release; Yellowstone Limited Edition, which launched back in the autumn. Limestone Branch Distillery is planning on launching the Yellowstone Barrel Selection Program in 2016, where consumers will be able to create a one-of-a-kind bourbon experience. The program will allow participants to choose their own mash bill, barrel size, barrel char level and aging level, as well as allowing them to choose their level of involvement in the process. Participants will be able to select their personalized bourbon and visit the distillery to fill the barrel and bottle the product. Yellowstone Select Kentucky Straight Bourbon will be available across the US later this month for a RRP of $49.99.